"I serve this as a summer after dinner drink or for a cool and refreshing afternoon cocktail. It's equally tasty with chocolate ice cream!" 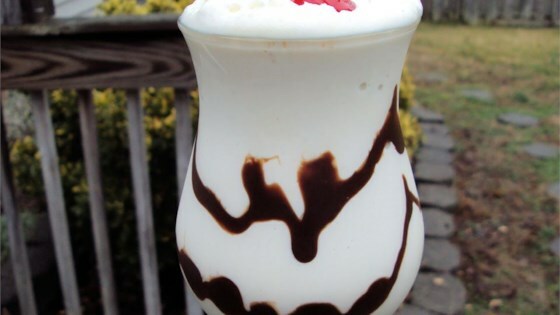 In a blender, combine rum, coffee liqueur and ice cream. Insert ice cubes until volume reaches 5 cups. Blend until smooth. Pour into chilled glasses, and serve. The rum was a little overpowering to me.